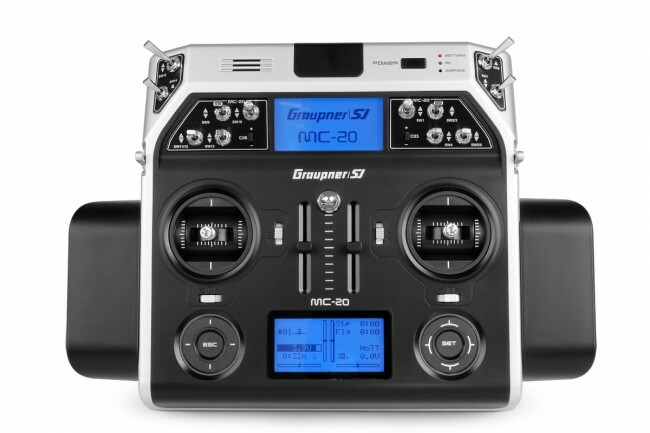 It comes with the hand rests, transmitter strap, neck strap and long and short gimbal sticks. When flying a multirotor, specifically for camera production work, all of your concentration is on the positioning and movement of the copter to be sure your camera operator has every opportunity to get the money shots. The design of the radio makes it very comfortable and the hand rests allow you to rest your hands comfortably taking all of the pressure off your arms, wrists and hands and allowing your fingers to control the coper with less stress making your motions much more fluid. The long sticks are my preference as they give you a longer range of motion which acts like adding mechanical expo to the controller. The sliders on the left and right side can be operated from the top or bottom with smooth movement. I use the sliders to control the pitch of the camera on my single-operator copters and I use the other, mixed with the Yaw channel, to provide smooth and continuous yaw motions. The design of the sliders makes them useable from the top or bottom and the lack of a ratchet makes them smooth to operation for more precise movements. Large center sliders are perfect for remote gain adjustments. I use the two center sliders to adjust my gains while in flight. I set my gains so when the sliders are in the center, my copter is perfectly tuned for no load and no wind conditions. But as the conditions change, I can easily adjust the gains to compensate and since they are so large I can easily see where my gains are set at all times. Built-in telemetry and two LCD screens on board. 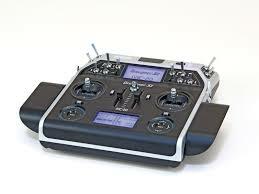 I always use an OSD for my multirotors so I can tell what the status is onboard my copter by looking at the video monitor, however I like the redundancy of being able to monitor critical information like battery voltage and altitude on the transmitter just in case something happens to my video feed. 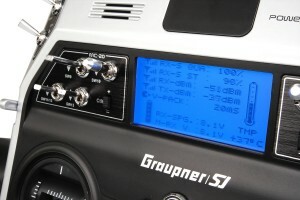 The layout of the LCD screens on the allow you to quickly glance down and monitor this information. All switches and sliders are completely programmable. Not everyone uses the same switch layout, but the MC-20 makes it easy for you to assign all functions to the locations that best suit your needs. 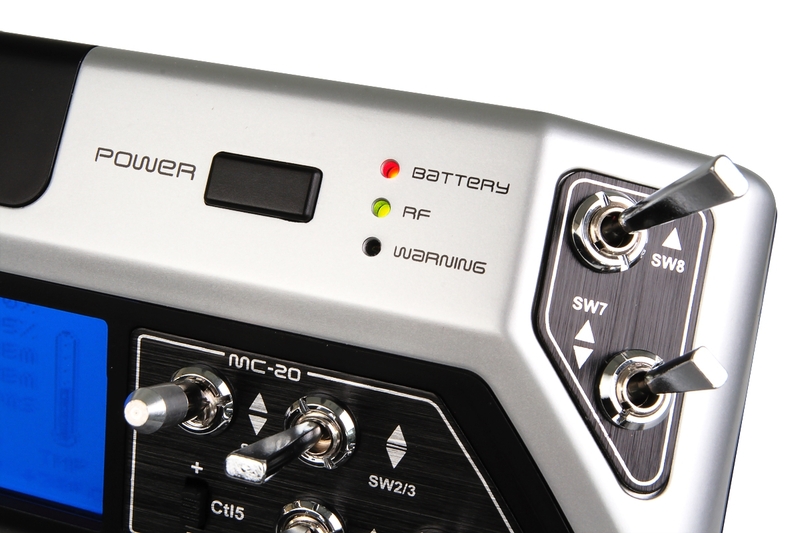 Functions like IOC (intelligent orientation control), Flight Mode and retracts can be easily assigned to any of the switches on the transmitter. Next Become a Heli-Max Cinematographer and WIN!